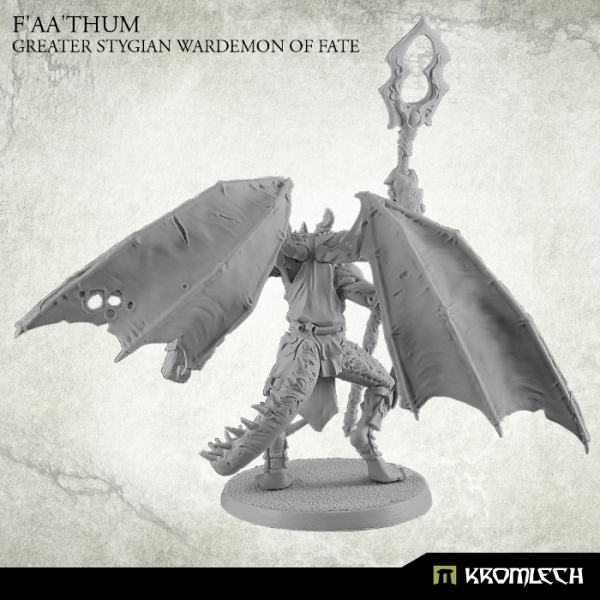 This set contains one resin model of F'aa'thum, Greater Stygian Wardemon of Fate. It's multi part miniature that comes together with 60mm round plain base. This model has two heads to choose from. 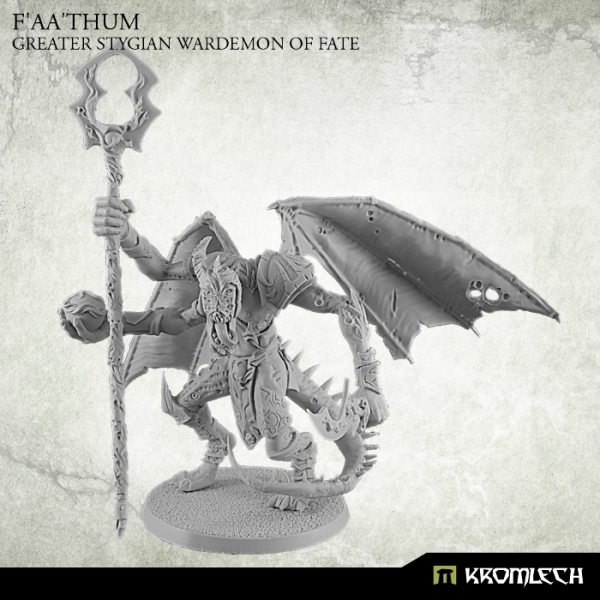 This model is designed for 28mm heroic scale tabletop wargames. 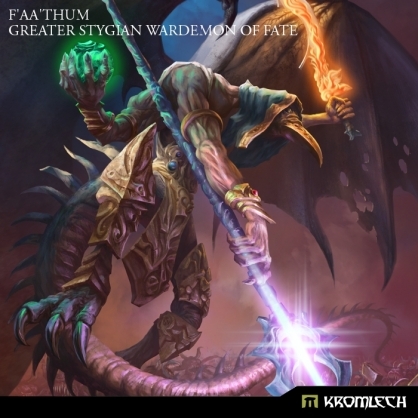 It may be used as a greater demon or demon prince. 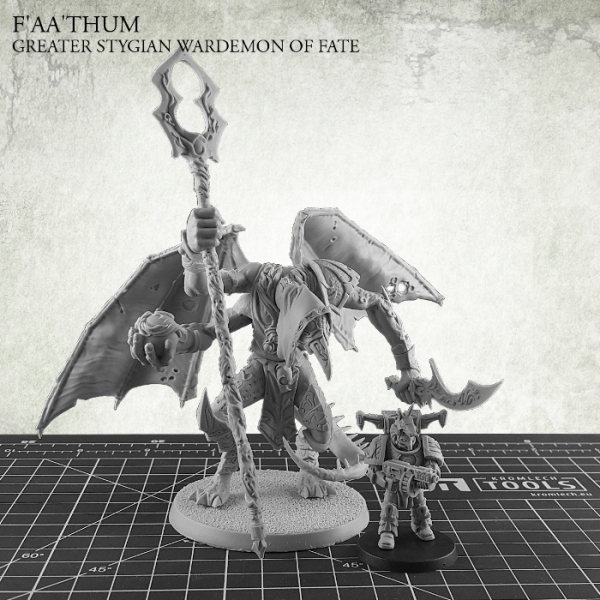 This model is 14,5cm height from the base to the top of a staff.